Before she was nominated for President, Hilary Clinton had a tougher task ahead: Winning over the hipsters of New York during her campaign earlier this year. Our guess is that this might have had something to do with her short stop that included a quick photo-op at Kung Fu Tea in Queens. 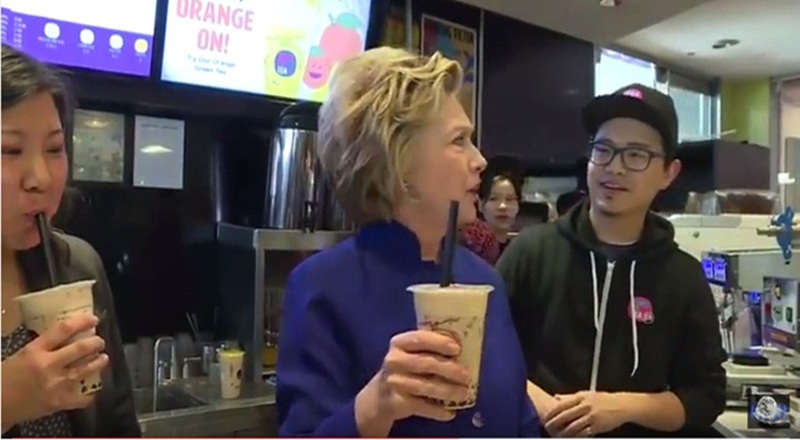 Clinton had her first taste of boba tea or bubble tea and called it “chewy tea,” sparking Twitter outrage among her fans and non-fans alike. Boba tea or pearl tea or bubble tea as it is commonly known has its origins in Taiwan. The first-ever bubble tea was made at a tea house in Taichung in the 1980s. The chewy bubbles are in fact tapioca balls that are added to the fruity or milky tea infusion, so Clinton wasn’t entirely off the mark when she described it as “chewy tea”. As recently as last year, several bubble tea stores opened across Mumbai, Coimbatore in Tamil Nadu, Mysore in Karnataka and even Siliguri in West Bengal. Most Indian bubble tea stores are yet to crack the formula though. 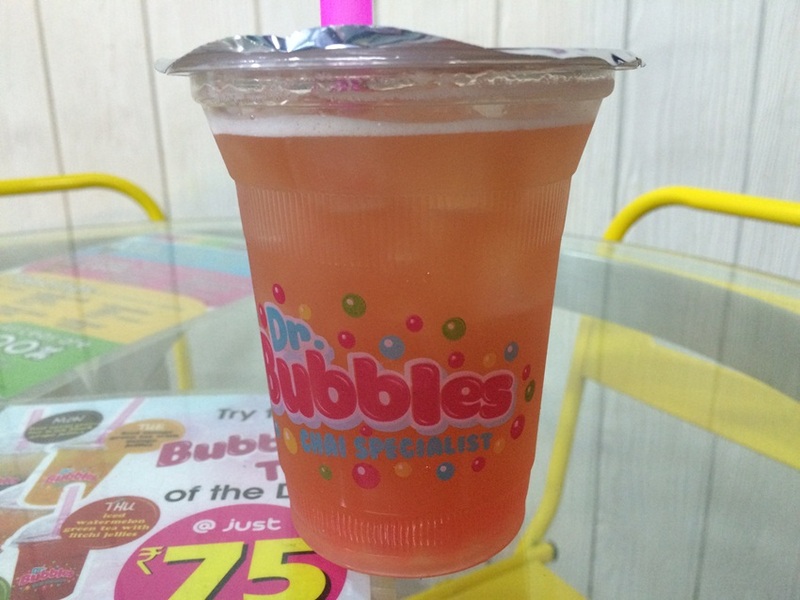 We tried the Raspberry and Strawberry bubble tea at Dr.Bubbles in Bandra, Mumbai, and felt it was too sweet for our taste despite ordering the sugar-free version . The Bengaluru version at Lan Thai was a let down as well and the hunt is on for an authentic cup of boba tea in the country. What was Clinton’s take on the drink? “I love it,” she had said.